Due to the skyrocketing popularity of two popular television series “Tiny House Nation” and “Tiny House Hunting,” the tiny housing market has been booming. Tiny house hunters have been scooping up these treasures for personal use as well as an opportunity to provide long and short-term rental properties. A tiny house is typically defined as 500 square feet or less and can be customized to each owner's individual needs. It can be stationary or mobile making it an extremely flexible choice for transient buyers. 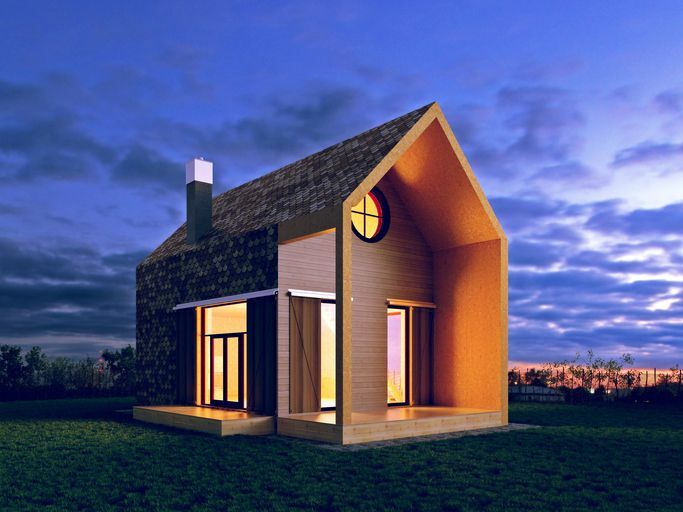 Some tiny homes are even made from recycled materials and shipping containers. Although this lifestyle is dominated by Millennials, every age group can reap the benefits of tiny house living. Some buyers will not make this their “Forever Home”, others may see it as an opportunity to downsize during their retirement years and still be able to live an active experience rich lifestyle. Real estate agents must keep an open mind and a Trail Blazer’s spirit when attempting to sell one of these tiny treasures. You can assist in the process by educating yourself and potential buyers. Start by putting together a marketing campaign geared toward the benefits of a “lifestyle” change as well as “Debt-Free Living” where a person can own their own home as well as enjoy having the extra cash flow to travel and experience life’s little pleasures without being encumbered by a large mortgage. They must have the courage to downsize and commit to transitioning from living “Large” to living “Tiny”. Each State and County may have its own rules and regulations regarding tiny structures. It is best to check with local building and housing authorities to see whether these homes are allowed to be placed on private homeowner land or vacant properties. Encourage buyers to begin the process of downsizing and decluttering their current space, ridding themselves of any excess material items not absolutely necessary in their future tiny home. This means a full overhaul of their current environment starting with their clothes closet, kitchen items, and garage space. Of course, if they intend to sell their current home, retaining items such as enough furniture to stage the home properly would be wise. They’ll be amazed at how this exercise will free them from the burden of too many possessions. This entry was posted in Real Estate and tagged real estate, Tiny House.